The U.S. announced a 25 percent tariff on $50 billion of Chinese goods. 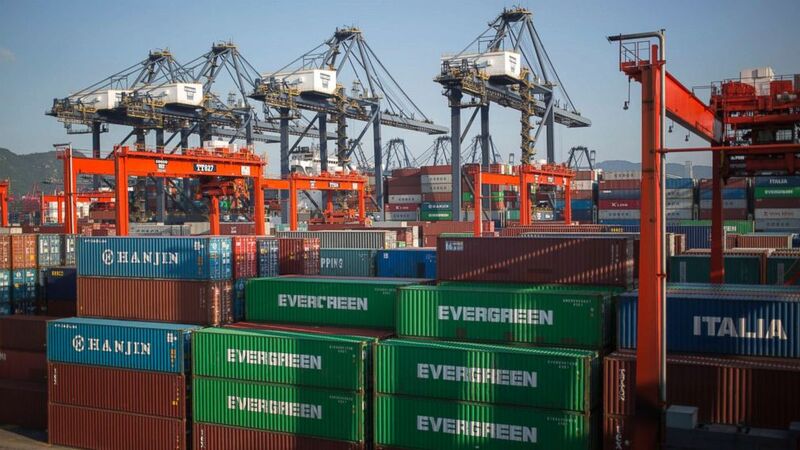 China's commerce ministry announced the tariffs after President Donald Trump said earlier Friday the United will hit $50 billion of goods from China with a 25 percent tariff. 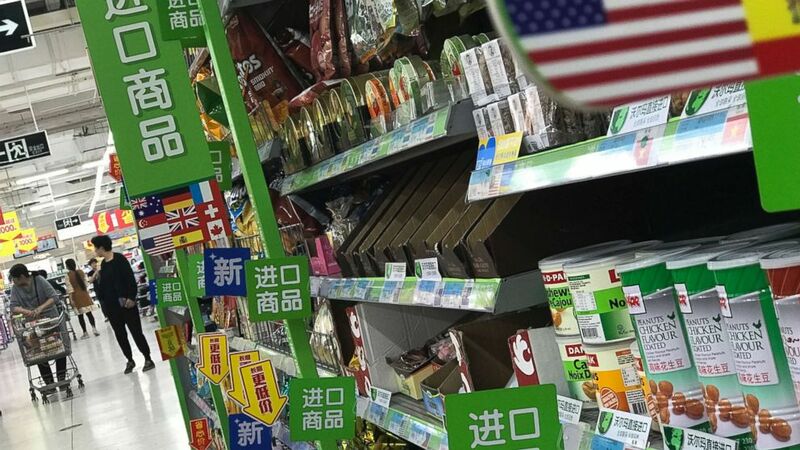 (Andy Wong/AP, FILE) In this Monday, April 2, 2018, file photo, women push a shopping cart near nuts and sweets imported from the United States and other countries at a supermarket in Beijing. (Jerome Favre/EPA via Shutterstock) Shipping containers are stacked in the Kwai Tsing Terminals in Hong Kong, China, Aug. 28, 2013. Friday's salvos mark a significant step toward a full-blown trade war between the United States and China despite months of trade talks and negotiations in an effort to avoid that outcome. (Richard Drew/AP) Trader Robert Charmak works on the floor of the New York Stock Exchange, Friday, June 15, 2018. 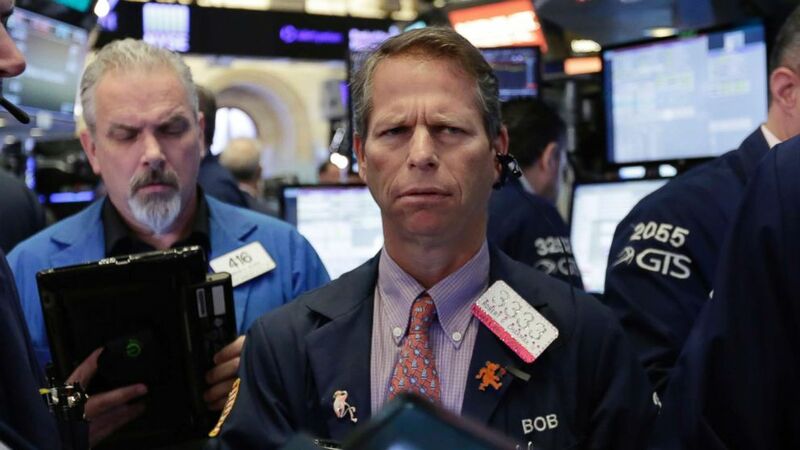 U.S. stocks fell with other markets around the world on Friday after the Trump administration stepped up the trade dispute between the world's two biggest economies by announcing tariffs on $50 billion of imports from China. 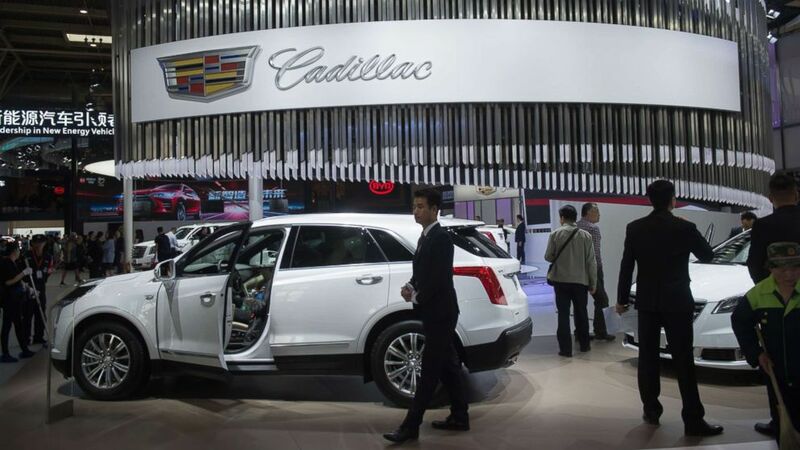 (Nicolas Asfouri/AFP/Getty Images) People walk through the Cadillac car display during the Beijing Auto Show in Beijing on April 25, 2018.